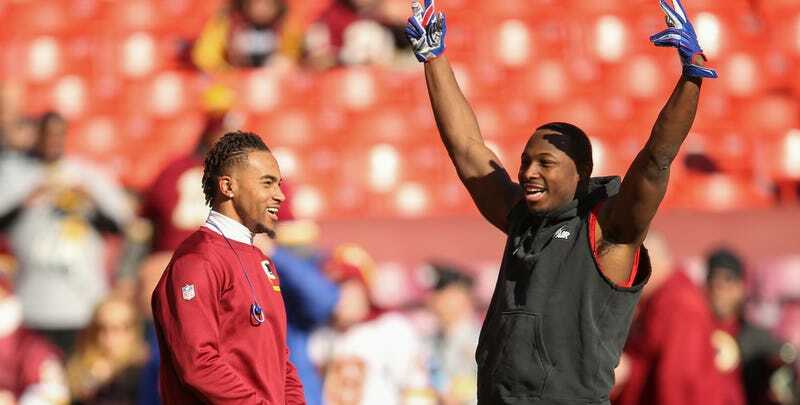 LeSean McCoy and the Bills are in Washington, where McCoy played a bunch when he was an Eagle. Even though McCoy is no longer in their division, he apparently still won’t pass up a chance to diss Skins fans. And now, please enjoy him snatching a Washington banner after scoring as a bird.